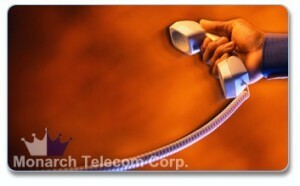 About Us – Monarch Telecom Corp.
Monarch Telecom Corp. provides complete solutions for all of your business phone system, network cabling, and on site surveillance. The trained staff at Monarch can assist you with design, configuration, and budgeting. Our turnkey solutions allow our customers to focus on what they do best, while we assist them with what we do best. Monarch is an independent distributor of Nortel and Avaya telecommunications equipment. As an independent supplier, we offer new (unused) and refurbished equipment, backed with a full 2-year warranty. Monarch Telelcom also provides new Plantronics and Polycom equipment. Our other services include repair of Nortel and Avaya equipment, system configuration, and asset recovery. At Monarch, our goal is to provide our customers with the technology they need, at competitive prices, and with outstanding customer service.